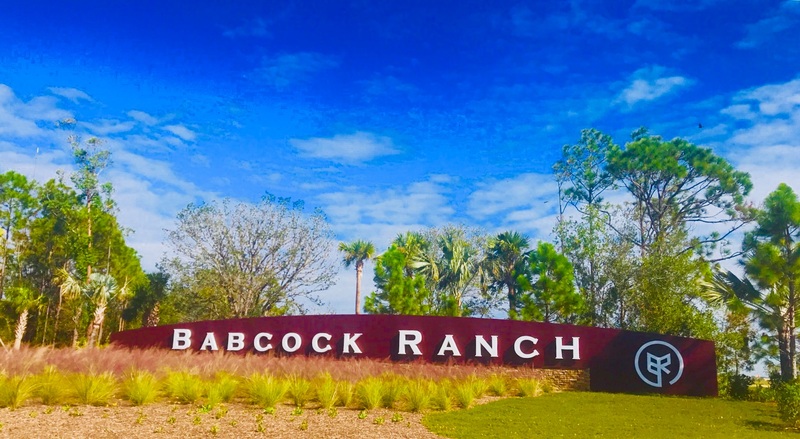 Babcock Ranch, which is located on the edge of Charlotte County and into Lee County consists of approximately 19, 000 acres and only a short 22 minute drive from Fort Myers Airport, and about the same from Punta Gorda Airport. It is America's first fully sustained #solarpowered community and is supported by the nearby solar field sitting on over 400 acres containing over 300,000 solar panels! Each builder has been hand selected to ensure they are following LEED (Leadership in Energy and Environmental Design) principles of responsible development for a green #sustainable #environment. Additionally, the homeowners will enjoy the cost saving energy benefits to the owners. There are currently seven builders that range in product from multi-family to single family builder and custom build options. The price points will begin from the low $300's. The town of Babcock Ranch already has a fully up and running public #charterschool that already has about 125 students, and allocated 35 acres campus for schooling! In addition - consider living in a town that has #CleanEnergy, #ElectricPower, over 50 miles of #BikeTrails / #WalkingTrails, #XeriScape gardening, #CommunityGardens, #RainGardens, #EuropeanStyleGolf, #optional #NaturalGas, #DoggyParks, state of the art #Health care onsite, #1GigCity technology that has #FiberOptic drive speeds that will be ultimately up to a #5GigCity, #BusinessIncubator spaces available onsite, and planned #SelfDrivingCars! I welcome your calls for additional information and would love to assist you as your local real estate advisor to help guide you through the purchase process, in addition to providing a current market report for current home if you are considering selling. I welcome you to visit me at DeborahPope or that of Babcock Ranch at Babcock Ranch. Please gain as much insight as you wish, but before registering with any individual builder, please call me first to let me know if you would like me to assist you and the benefits you will gain!